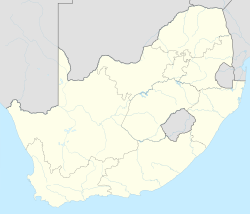 Noordgesig (meaning "north view/facing") is a township in Soweto, situated at the edge of area's northern most boundary, but within its territory. It is the first township seen on entering Soweto from the frequently used New Canada Road. Noordgesig is a Coloured township. It is colloquially called "Bulte"(meaning Hills) by its residence and neighbors, as depicted by the Mine Dumps surrounding the Township. The name "Bulte" was coined as a form of endearment by the residence for the longest time. The township is one of the oldest "Coloured" townships and one of multiple locations that make up greater Soweto. However, this is difficult to discern from historical works, which, if they mention Noordgesig at all, only name it, and predominantly focus on the establishment of Orlando in the mid-1930s, and then later in the 1950s, the construction of Meadowlands and Diepkloof, or the uprising of June 16, 1976. The historical analysis of Soweto largely ignores Noordgesig. Noordgesig was not administered as part of greater Orlando until after the end of apartheid, and is therefore not distinguished from it, which consequently might offer a reason why histories of Soweto never include its establishment in their analysis. Because it was established for coloured occupation, government documents relating to Noordgesig are filed in the various departments dealing with coloured affairs and not those of Orlando or Soweto. Accordingly, a study of this township fills in this absence in historical literature.Because it was established for coloured occupation, government documents relating to Noordgesig are filed in the various departments dealing with coloured affairs and not those of Orlando or Soweto. Accordingly, a study of this township fills in this absence in historical literature. 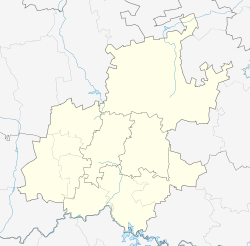 Noordgesig Township is one of the original townships established on the farms Diepkloof and Klipspruit purchased by the Johannesburg City Council (JCC) during the 1930s, which would only in 1963, become collectively known as Soweto. Township areas in the southwestern areas of Johannesburg established prior to the apartheid era include Kliptown in 1904, Orlando East 1932, Pimville 1934, and Noordgesig 1940/41. The layout of Noordgesig was approved by the JCC as early as 23 March 1937. Therefore, the history of this township must be included not only in writing any history tracing the origins of the south western areas of Johannesburg just prior to World War II (WWII), but also in studies of early black township formations on the Witwatersrand. Building black housing became a priority for the JCC, the Transvaal provincial government, and the Union government particularly near the end of the 1930s up to the end of the 1940s. The war would however curtail housing construction. The substantially increased rates of urban migration into the cities particularly those on the Witwatersrand preceding and during World War II, caused by the increased manufacturing industries and employment opportunities, culminated in a shortage of accommodation for new arrivals. Squatter camps became common during the early to mid-1940s and spread rapidly throughout what today is Orlando West and Moroka townships inSoweto. By the end of the 1940s the National Party (NP) government was faced with the challenge, greater than before, of trying to house these people. Motivated by the Group Areas Act of 1950, large numbers of people were displaced and forcibly removed from urban areas resulting in an unprecedented growth in new townships allocated in Soweto by the state. The coloured population is small compared to the black population of South Africa and one reason why fewer studies on coloured housing in the urban history of Johannesburg exist. Contextualizing a historically coloured township requires an analysis of this identity. Noordgesig, can be understood as a locality made up of people, present and in the past, who in the majority are considered coloured, whether self-ascribed, or imposed, by virtue of their race, identity, class and complex relationship to ‘black’ Soweto. ^ a b c d "Sub Place Noordgesig". Census 2011. ^ P. Bonner & L. Segal, Soweto: A History (Cape Town: Maskew Miller Longman, 1998); E. Hellmann, Soweto: Johannesburg’s African City (Johannesburg: South African Institute of Race Relations, 1971). ^ Johannesburg Development Agency (JDA): 2012; National Archives of South Africa: Pretoria (hereafter SAB), Johannesburg City Council, Sub-economic Housing Loan: Coloured Township Adjoining Orlando, 10 March 1939, Source TPB, Vol. # 2494, Ref. # 25/11057 – 27/110057. Moroka, Orlando West and Jabavu are also established prior to apartheid. The name for this first township is unclear because Kliptown and Klipspruit seem to be used interchangeably by various sites. See http://www.sahistory.org.za/topic/history-soweto accessed 14 April 2014 (who name Klipspruit); accessed 14 April 2014 (who name Kliptown). ^ SAB, Source TPB, Vol.# 2494, Ref.# 25/11057 – 27/110057, 10 March 1939. This article uses 1940/41 as the establishment date because the actual construction and completion of houses is during this period. ^ A. Christopher, The Atlas of Changing South Africa (London and New York: Routledge, 2001); JDA 2012; Hellmann, Soweto. ^ The Township itself was designated for coloured occupation in the original government documents dated to the late 1930s. While secondary source material directly related to Noordgesig are scarce the same is not true of primary source materials which while not abundant were adequately available. Both secondary and primary source materials discussing coloureds in South Africa are however abundantly available. Soweto for many inhabitants of Noordgesig means the ‘other’, which is both denied and accepted.